Representatives of the European Union (EU) visited on Friday a Palestinian family threatened with eviction in occupied Jerusalem in favor of Jewish settlement societies. 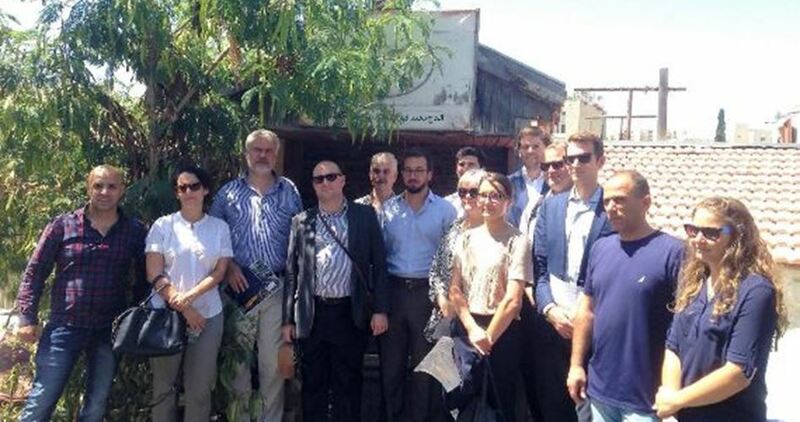 The delegation carried out a tour in Sheikh Jarrah neighborhood in the occupied city, where they were briefed about the escalated settlement expansion campaign in the area. During the tour, the delegation expressed deep concern over the Israeli threats, vowing to follow up the case. In March 2017, Israeli authorities ruled the eviction of the Palestinian Shamasna family from their home in Jerusalem’s Sheikh Jarah neighborhood in favor of an Israeli settlement society. The to-be-evacuated two-room home has been the only shelter for the 83-year-old Ayoub Shamasna and his 74-year-old wife, along with their sons, daughter-in-law, and their six grandchildren, residing in the house since 1964. A set of documents and signed contracts prove that the Shamasana family has been covering all rental fees since the early 1970’s. But the Israeli authorities turned down all corroborations and appeals filed to protect the family from forced dislocation. A sit-in is scheduled to be organized on Saturday outside Shamasna house in protest against the Israeli eviction order. 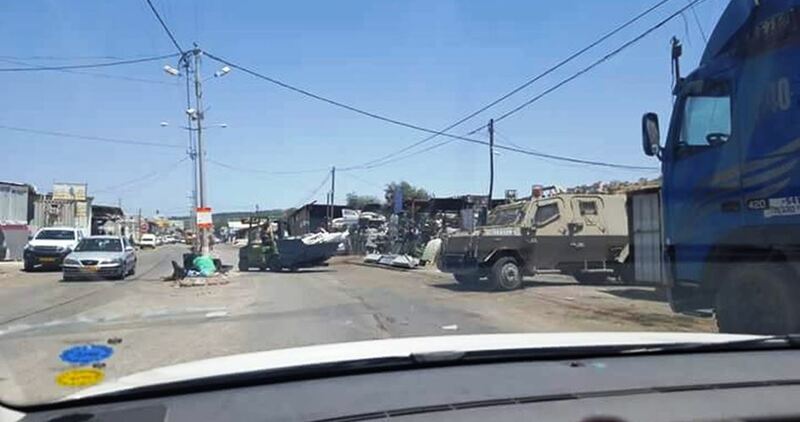 Israeli soldiers invaded, Thursday, the al-Fheidat Bedouin area, east of Anata town, northeast of occupied East Jerusalem, and handed demolition notices targeting 23 homes and residential sheds. Local sources said the soldiers granted the families 72 hours to file appeals against the demolitions. They added that the army claimed the community is located by the main road leading to Anatot military base, and that the Palestinians are not allowed to build, or reside, in that area. The Bedouin families have been living in the area for the past fifty years, and have been subject to constant Israeli violations and destruction. The Israeli occupation army on Thursday evening closed the road barrier known locally as Sadat al-Fahs, south of al-Khalil city, kidnapped a Palestinian businessman and confiscated a large sum of money from him. 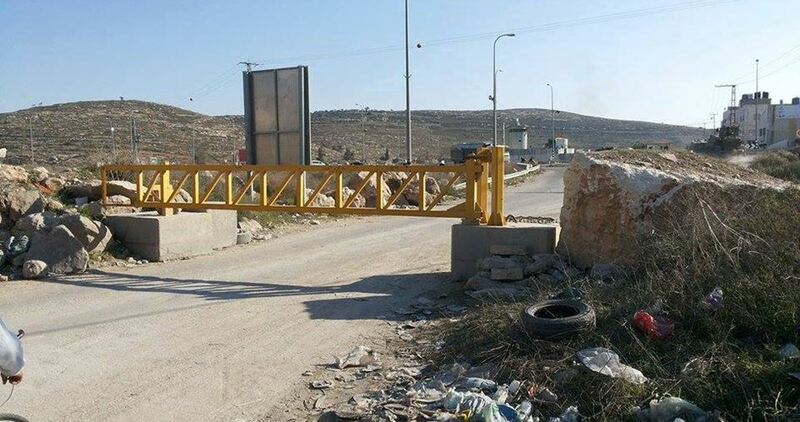 A local source told the Palestinian Information Center (PIC) that the Israeli army’s closure of the road prevented Palestinian citizens and vehicles from entering or leaving Sadat al-Fahs area, where nearly 500 factories and workshops for the production of construction materials are located. The source also said that Israeli soldiers set up a makeshift checkpoint on road 60 near Sadat al-Fahs barrier, intercepted citizens and vehicles and embarked on searching them. He added that the soldiers forced a Palestinian businessman identified as Saadi Abd-Rabo to leave his car, seized 34,000 dollars from inside it and arrested him, with no known reason. Israeli Supreme Court on Thursday refused an appeal against home-demolition orders issued as punitive measures against the families of the three martyrs who carried out an anti-occupation attack in Occupied Jerusalem six weeks ago. The attack led to the death of an Israeli female soldier as well as all of the three attackers. Israeli channel seven said that the court partially accepted the appeal and decided not to raze the lower floors of the three youths’ homes as not being used for housing purposes. The three slain young men: Bara Saleh, Adel Ankoush and Usama Atta, from Deir Abu Mishal town near Ramallah, carried out stabbing and shooting attacks against Israeli targets at Bab al-Amoud gate in Occupied Jerusalem. Jewish settlers at noon Thursday erected caravans and tents in an evicted settlement site south of Jenin city in the northern West Bank. Settlers were intensively deployed, in groups, in the area. 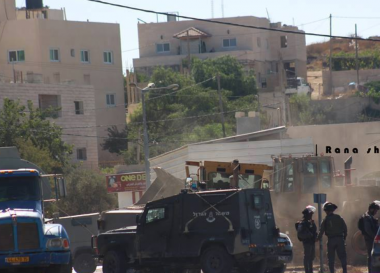 Local sources told the PIC reporter that fanatic settlers raided the area and sparked riot amid chanting of anti-Arab slogans and others threatening to take over the site. 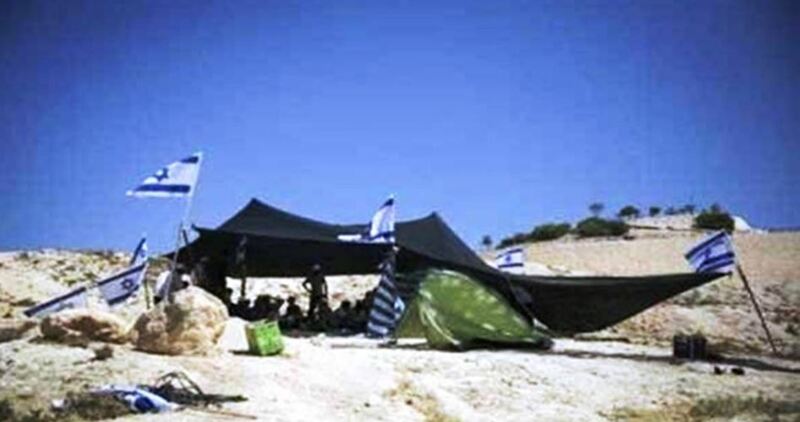 Israeli settlers every now and then, especially during Jewish holidays, storm and perform Talmudic rituals inside the same site in the city. However, it was the first time to erect caravans in the area. Israeli occupation forces evicted the site in 2005 in the wake of the withdrawal from Gaza Strip. However, Palestinians have been banned from accessing the site since then. Israeli occupation soldiers stormed on Wednesday the home of a jailed Palestinian resistance fighter in Deir Samet town, southwest of Dura, and seized his father’s car. The Israeli occupation forces wreaked havoc on the family home of prisoner Mohamed Abdul Basit al-Haroub and stole his father’s car on claims that he received cash from Hamas after he carried out anti-occupation shooting and stabbing attack near Etzion crossroads in November 2015. The Israeli occupation forces blew up al-Haroub’s family home a few months following the attack. The detainee received four life-sentences in Israeli lock-ups. A 26-mile stretch of Wall, 20-feet high and made from cement, has been completed in the South Hebron Hills, in the southern part of the West Bank, according to Israeli sources. This section of Wall divides the southern part of the West Bank and cements the illegally established settlements put in place by some of the most right-wing extremist groups in Israel. According to Israeli sources, the section of the Wall that has been completed runs from the Turquimiya Crossing to the Israeli settlement of Mitar. Palestinians from the village of Yatta, which is being divided by the Wall, were told by Israeli army officials that the Wall is being constructed through their village land as an act of collective punishment, since some young men from Yatta participated in a shooting attack against Israeli civilians in 2016. 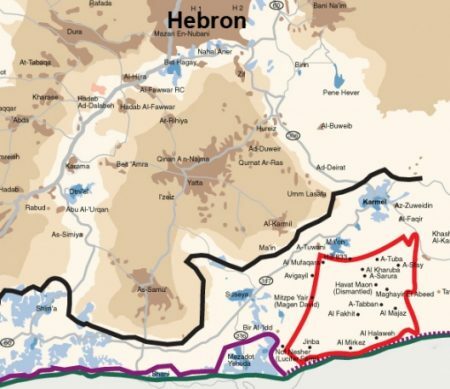 Now, according to the local sources, the Israeli military has deemed the entire area a ‘closed military zone’ and is collectively punishing the residents by taking over huge swaths of land and dividing families, shutting off access to farmlands and effectively placing a chokehold on the residents of Yatta and other villages in the South Hebron Hills. Issa Amro, a Palestinian youth from Hebron and the founder of Youth Against Settlements in Hebron, has organized efforts for years to stop construction of the Wall through non-violent action, telling the Electronic Intifada last year, “Nonviolence is the best tool because it strengthens civil society and it gives a role to each person: the kids, the women, the elders and the youth. With nonviolent activities you get more international support and you neutralize the violence of the oppressor”. According to the Israeli group B’Tselem, “The policy of the Civil Administration is to prevent construction in nearly all Palestinian villages in the South Hebron Hills. One way this is done is by not preparing master plans that would enable the legalization of existing construction as well as future development. “The Civil Administration maintains that the master plan in force is the one approved by the British mandatory authorities in 1942. Under that master plan, the area was zoned for agricultural use. However, although the plan does permit some construction on agricultural land, the Civil Administration has misinterpreted the plan’s instructions and has forbidden any and all construction. “Without approved construction plans, Palestinians are denied any possibility of obtaining building permits, be it for housing or for public buildings such as schools and medical clinics. Nor can they get approval for paving proper roads. In addition, the Palestinians may not hook up to either the power grid or the water pipelines that Israel has laid in the area, even though Israel has connected the settlements to both – including the so-called outposts that were constructed without the proper permits. 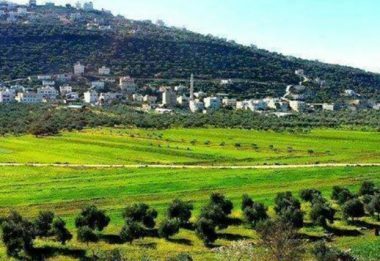 Although the Civil Administration has prepared several master plans for Area C West Bank Palestinian villages, these plans were in fact aimed at obstructing the possibility of development for those villages. For example, in the early 1990s the Civil Administration prepared a plan for the village of a-Tuwani in the South Hebron Hills. In 2009 the plan was updated and the area it covered was expanded. Contrary to the stipulations in the Jordanian planning and construction law to which Israel is bound, the plan was prepared without a prior planning survey that presents the needs of the village. The Civil Administration plan allocated only 52 dunams [5.2 hectares] to the village and allocated no land at all for future development. Moreover, the plan did not include the entire built-up area of the village so that, if implemented, some existing houses would be detrimentally affected. Meanwhile the Civil Administration plan allocated 385 dunams [38.5 hectares] to the nearby settlement of Ma’on irrespective of the similarly sized populations of the two communities. Furthermore, the plan apparently discounts the fact that a-Tuwani, with its school and medical clinic, services all the surrounding villages. “Over the past year, the Civil Administration has argued that it cannot approve construction plans in the South Hebron Hills, because they do not meet the planning criteria it has stipulated for the legalization of construction for Area C Palestinian villages. These criteria address the size of the built area; the age and density of construction; proximity to existing communities, nature preserves or archeological sites; and the feasibility of constructing public buildings and infrastructure. These criteria are intended primarily to impede construction in Palestinian villages. They do not take into account the complex structure of land ownership, the history of Palestinian residence on the land (documented at least as far back as the nineteenth century) or the residents’ independent ability to construct public buildings to serve the neighboring Palestinian communities. These criteria do not apply to Israeli settlements in the West Bank for which there is a separate planning track. All Israeli settlement construction, and the Annexation Wall itself, are considered by the United Nations to be serious breaches of international law, including the Fourth Geneva Convention, to which Israel is a signatory. 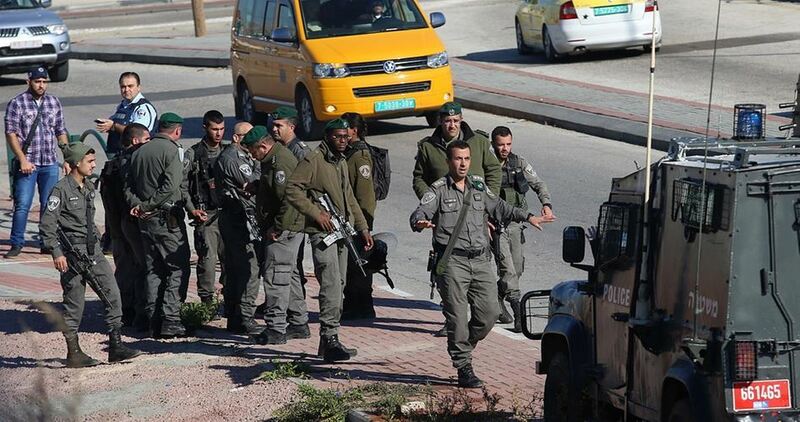 Israeli soldiers illegally confiscated, on Tuesday, a garbage truck owned by Qabalan town council, south of the northern West Bank city of Nablus. Ghassan Daghlas, a Palestinian Authority official charge of Israeli settlements’ file in the northern part of the West Bank, said the soldiers chased the garbage truck near Yanoun area, close to Aqraba town, and forced the driver out before taking the truck to Huwwara military base, south of Nablus. The driver was heading to an area dedicated to garbage disposal when the soldiers stopped him, and the army did not even give him a reason for the takeover of the truck. 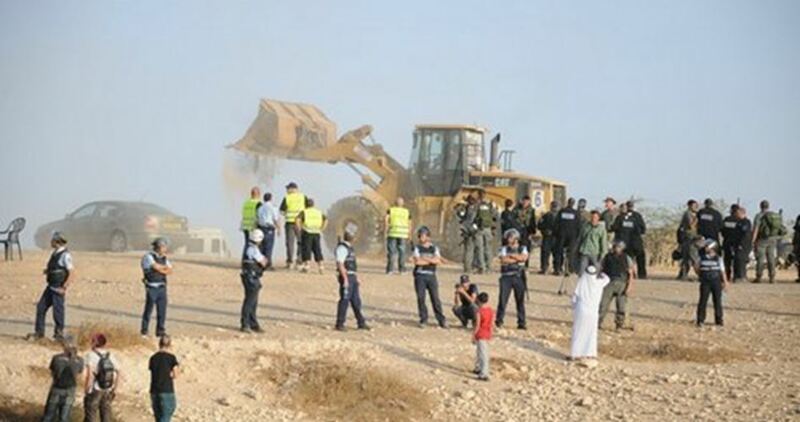 The Israeli authorities on Tuesday morning demolished the homes of the Bedouin Araqeeb village in the Negev desert, for the 116th consecutive time. Local sources said that Israeli police forces stormed and cordoned off the village before bulldozers embarked on removing all the crude homes and structures that belong to the local residents. Israel’s systematic demolition of Araqeeb is aimed to take over its land and build a Jewish-only town in its place. Israel also demands the villagers to pay millions of dollars in expenses for all the demolitions that have taken place until now in their hamlet. As Israeli extremists invaded the al-Aqsa Mosque on Monday, Israeli settler colonizers also moved into Palestinian areas in several parts of the West Bank. In Hebron, members of a right-wing militia group occupied a Palestinian home in the center of the city; while in Nablus, a dozen trailers were constructed on illegally-seized Palestinian land. The home in Hebron had initially been taken over by the settler militia group last week, and then on Monday the head of the group, Yossi Dagan, announced that he will be moving his family into the home, ejecting the Palestinian family who owned and had lived in the home for generations. The Abu Rajab family home in Hebron has been a target of the Israeli settler militia group ‘Homesh First’ for over five years. In 2012, Israeli settler colonizers took over the top two floors of the home, forcing the Abu Rajab family to huddle into the lowest level of their home. The settlers claimed to have purchased the house, but this claim was never able to be proved in Israeli court. Since that time, the Abu Rajab family has been continually harassed, including having their entrance and exit to the home blocked, being beaten and threatened, having soldiers occupy their home and assist the settler colonizers in their takeover, and having one of the sons of the Abu Rajab family abducted and put into prison without charge for years. Throughout 2015, Israeli settlers camped outside the home for months, harassing the Abu Rajab family and preventing them from leaving. The family filed six different complaints with the Israeli court system, which eventually ruled in their favor and ordered the settlers to evacuate. Now, in 2017, the family finds themselves once again filing a complaint with the Israeli police, as the settlers have returned to force them from their home in violation of international and Israeli law. In the Nablus incident, Israeli settler colonizers set up a dozen trailer homes on land belonging to Palestinian families in the al-Khafafish area of the village of Jalud, in the northern part of the West Bank. 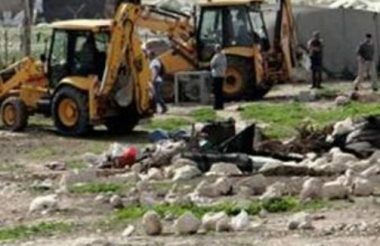 The trailers were installed on Monday, after the land was leveled by Israeli bulldozers two weeks ago in preparation for the new settlement construction. As part of the evacuation of the Migron outpost, the government established “New Migron” (located close to Kochav Yaakov settlement) as well as a plan for 184 housing units east of Adam settlement (aka Geva Binyamin). Just as in the case of Amona, the settlers of Migron rejected the offer to move to the site east of Adam, and yet the government approved the plan, which is currently under construction. “Amichai, alongside Shvut Rachel East, enhance the expansion of Shilo settlement eastbound towards the Jordan valley and route number 80 (known as the Alon road). The new settlements are located between Shilo and Shvut Rachel (located to their west) and several illegal outposts: Achiya, Esh Kodesh, Kida and Adei Ad. Hence, the two new settlements are located in a region that serves as focal point of settler land takeover and settler violence, preventing Palestinians [PDF] from reaching their lands. The Israeli Central Bureau of Statistics has reported a 70% increase in the rate of Israeli settlement expansion this year in comparison to the previous year. All Israeli settlements are considered illegal under international law, as they directly violate the Fourth Geneva Convention, which prohibits an occupying power from transferring members of its civilian population to land occupied by military force. Israeli security forces have caused great damage to historical documents at Al-Aqsa Mosque during the two weeks of crisis over the Muslim holy site, officials say. 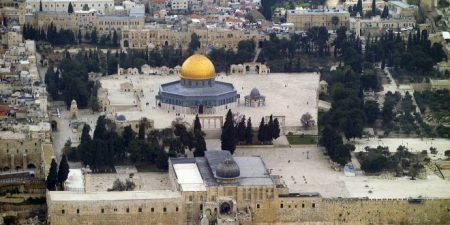 Head of the Manuscripts Department at Al-Aqsa, Radwan Amro, said in a statement that “the occupation authorities have caused huge and extensive destruction to the libraries and facilities at Al-Aqsa Mosque as well as the manuscripts section”, WAFA reported, according to PNN. There has been great concern about Israeli theft of important documents from Al-Aqsa departments concerning property and Muslim endowment in Jerusalem, because of the lack of Waqf officials at the mosque. Waqf officials are the ones in charge of the Al-Aqsa compound. They, alongside any Palestinians, have been prohibited to enter the compound for the past two weeks, due to the events that took place on July 14, where two police guards were shot dead. However, Waqf media official, Firas Dibs, denied the rumors about theft of manuscripts and documents from the mosque. Several Israeli military jeeps and bulldozers invaded, Sunday, Palestinian lands in Kharsa area, south of Doura, in the southern West Bank governorate of Hebron, and started bulldozing them to install a military tower. No’man Amro, the head of Doura Town Council, said the soldiers are bulldozing lands close to a local school for girls, in an area that is also overpopulated, adding that this tower would place the residents’ lives at risk. Abdul-Hadi Hantash, an expert maps and Israel’s colonies files, said the targeted area links between all villages, east of Doura, in addition to the ath-Thaheriyya town and all western roads.